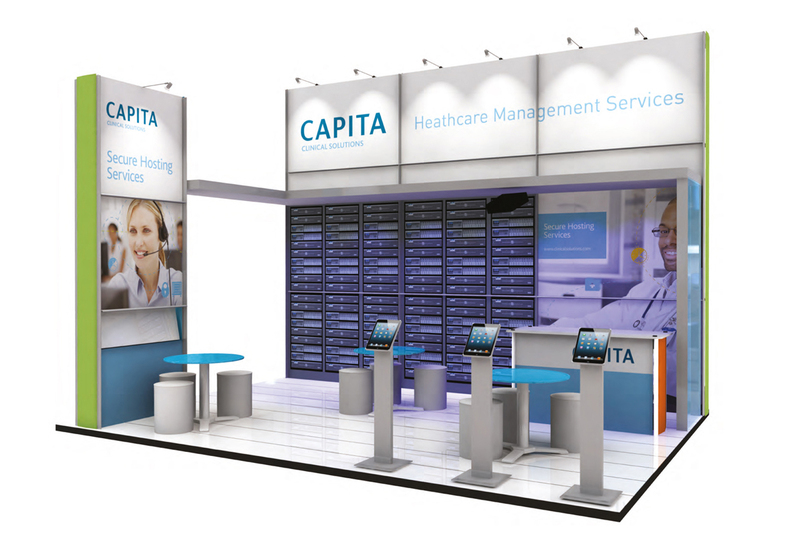 To create an exhibition stand to promote Capita's secure hosting server facilities at an event aimed at the NHS and private hospitals. 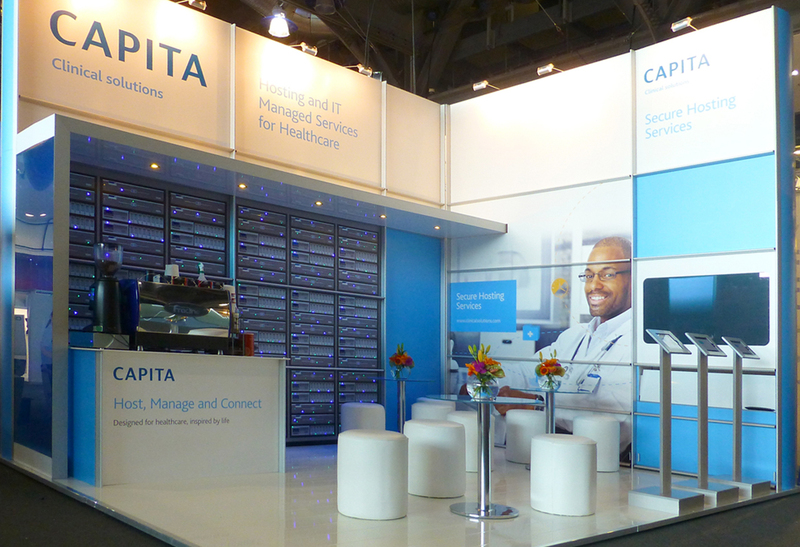 It was impractical to install an actual small server farm within an exhibition environment, so we created a simulated environment coupled with demonstration and meet & greet facilities for sales team members to discuss Capita's offering. 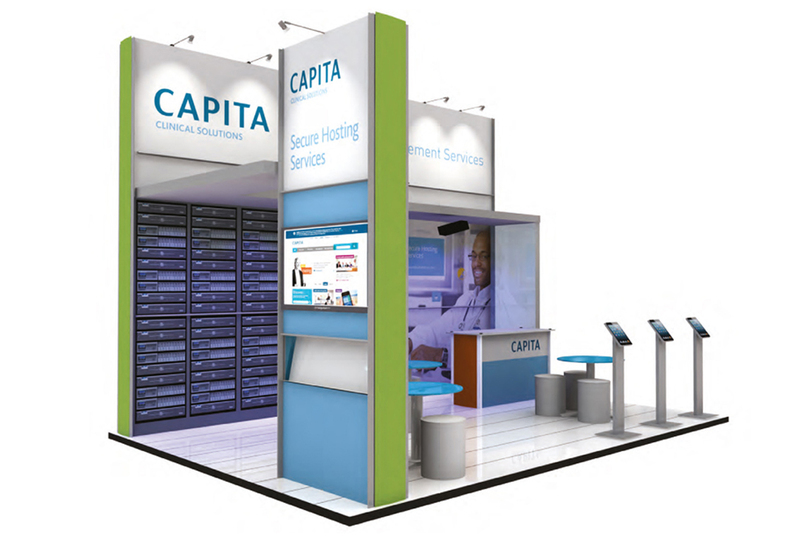 The stand incorporated a large graphic panel wall of a full-sized server racking, complete with hundreds of programmable LED lights, that would flash to imitate a live server environment. The end result was so effective that attendees were visiting the stand just to check if they were real live servers - so it certainly grabbed people's attention! 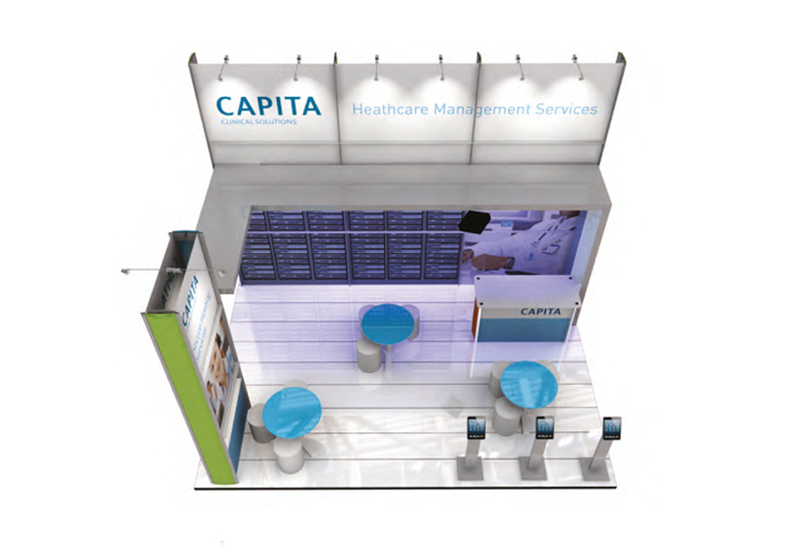 The striking server wall, white flooring, clean lines, lighting canopies and integrated screens were created around our modular aluminium stand structure, creating a professional environment for Capita's sales team to talk with customers and demonstrate their products. All in all, the stand proved to be a real winner.